Andy Mabbett (@PigsOnTheWing), Royal Society of Chemistry / ORCID. Wikipedia, Wikidata and more – How Can Scientists Help? I’ll be doing a talk on “Improving the troubled relationship between Scientists and Wikipedia” (see slides below) with help from John Byrne who has been a Wikipedian in Residence at the Royal Society and Cancer Research UK. How much does finding out more about all this wiki-goodness cost? An absolute bargain at just £29 for two days – what’s not to like? Tickets are available on eventbrite, register now, while tickets are still available. 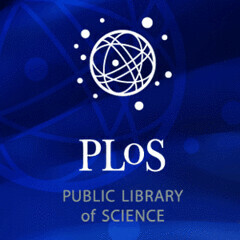 The Public Library of Science (PLoS) is a non-profit organisation committed to making the world’s scientific and medical literature freely accessible to everyone via open access publishing. As recently announced they have just published the first article-level metrics (e.g. 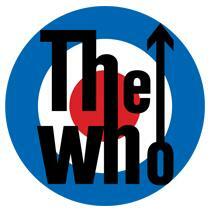 web server logs and related information) for all articles in their library. This is novel, interesting and potentially useful data, not currently made publicly available by other publishers. Here is a selection of some of the data, taken from the full dataset here (large file), which includes the “top ten” papers by viewing statistics. *The rank is based on the 12,549 papers for which viewing data (combined usage of HTML + PDF + XML) are available. Online usage is dependent on the article type, the age of the article, and the subject area(s) it is in. Therefore you should be aware of these effects when considering the performance of any given article. Older articles normally have higher usage than younger ones simply because the usage has had longer to accumulate. Articles typically have a peak in their usage in the first 3 months and usage then levels off after that. Spikes of usage can be caused by media coverage, usage by large numbers of people, out of control download scripts or any number of other reasons. Without a detailed look at the raw usage logs it is often impossible to tell what the reason is and so we encourage you to regard usage data as indicative of trends, rather than as an absolute measure for any given article. We currently have missing usage data for some of our articles, but we are working to fill the gaps. Primarily this affects those articles published before June 17th, 2005. Newly published articles do not accumulate usage data instantaneously but require a day or two before data are shown. Article citations as recorded by the Scopus database are sometimes undercounted because there are two records in the database for the same article. We’re working with Scopus to correct this issue. So all the usual caveats apply when using this bibliometric data. Despite the limitations, it is more revealing than the useful (but simplistic) “highly accesssed” papers at BioMedCentral, which doesn’t always give full information on what “highly” actually means next to each published article. It will be interesting to see if other publishers now follow the lead of PLoS and BioMed Central and also publish their usage data combined with other bibliometric indicators such as blog coverage. For authors publishing with PLoS, this data has an added personal dimension too, it is handy to see how many views your paper has. As paying customers of the services that commercial publishers provide, should scientists and their funders be demanding more of this kind of information in the future? I reckon they should. You have to wonder, why these kind of innovations have taken so long to happen, but they are a welcome addition. Many important decisions in Science are based on identifying scientists and their contributions. From selecting reviewers for grants and publications, to attributing published data and deciding who is funded, hired or promoted, digital identity is at the heart of Science on the Web. Despite the importance of digital identity, identifying scientists online is an unsolved problem . Consequently, a significant amount of scientific and scholarly work is not easily cited or credited, especially digital contributions: from blogs and wikis, to source code, databases and traditional peer-reviewed publications on the Web. This (proposed) session will look at current mechanisms for identifying scientists digitally including contributor-id (CrossRef), researcher-id (Thomson), Scopus Author ID (Elsevier), OpenID, Google Scholar , Single Sign On, PubMed, Google Scholar , FOAF+SSL, LinkedIn, Shared Identifiers (URIs) and the rest. We will introduce and discuss each via a SWOT analysis (Strengths, Weaknesses, Opportunities and Threats). Is digital identity even possible and ethical? Beside the obvious benefits of persistent, reliable and unique identifiers, what are the privacy and security issues with personal digital identity?